The Woodwork for Inventor functionality greatly facilitates and accelerates the constructor’s work when creating the skeleton of the furniture item. The set of DressUp features contains commands which, based on the volume of the furniture item’s shape, enable convenient and quick creation of boards. In order for the command to create the board body automatically, you simply need to indicate the surface of the selected volume, the thickness of the board and its position with respect to the surface. 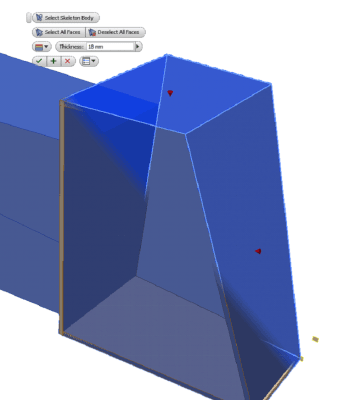 This is an easy way to create different shelves by indicating the body of the board that has already been created and by specifying the thickness of the board and the shelf offset distance. To create the board body, you may use the section of the working surface and of the furniture item’s shape. This section is also automatically transformed into a board. All the board bodies may be trimmed based on the result that the constructor is trying to achieve. 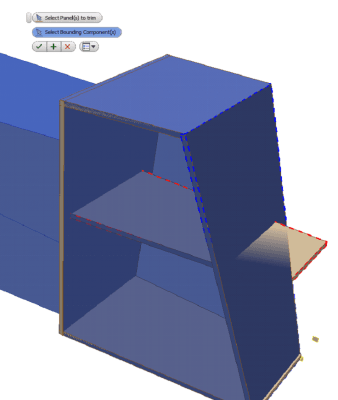 Everything that has been modeled in this way automatically saves parameter connections and may be quickly and easily modified at any design stage. 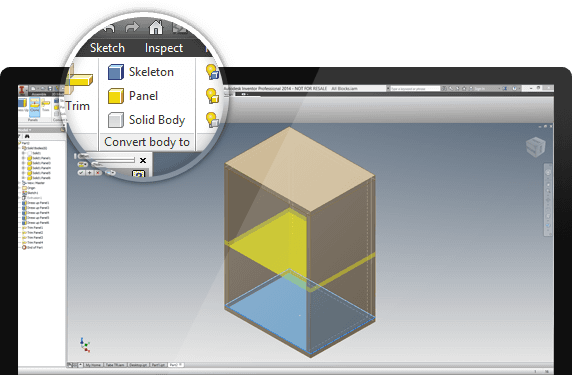 You can later easily turn this skeleton into a standard Autodesk Inventor assembly and continue to use it at the assembly level.